'Found a lot of enthusiasm at the fish market, even for a squeamish, vegetarian MP,' Tharoor had later tweeted. 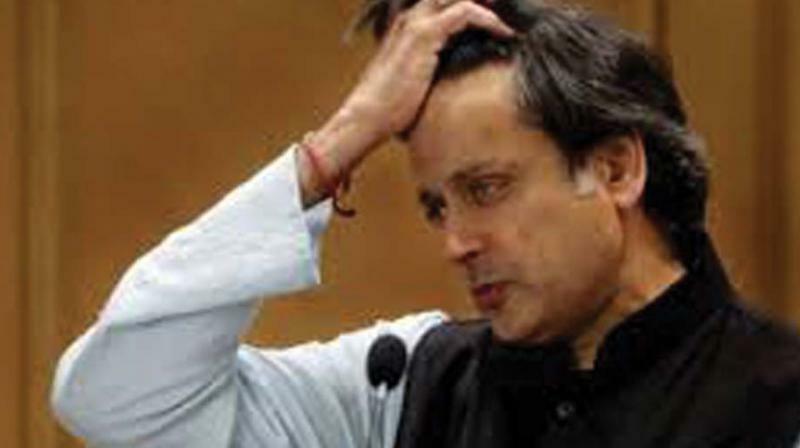 Thiruvananthapuram: Congress MP Shashi Tharoor found himself on a sticky wicket Saturday as his tweet following a visit to the fish market here kicked up a row, with the ruling CPI(M) and BJP alleging he had insulted the fishermen community and demanded an apology. In another tweet, Tharoor wrote "order delivered" and put its word by word Malayalam translation as "Kalapana prasavichu" (Kalapana has given birth)" to pinpoint the pitfalls in translations. The CPI(M) and BJP attacked the Congress MP, saying he had insulted the fishing community by his choice of words. BJP candidate Kummanam Rajasekharan said Tharoor should apologise and said his act of "humiliating" the fishermen community through the social media was "extremely deplorable." He had insulted the fishermen community who had saved several lives during the devastating floods in August last year, the former Mizoram Governor said. Fishermen have taken out marches in Kochi, Kollam and Kozhikode protesting the tweet, saying they had been insulted. During the August floods last year, it was the fisherfolk who had saved thousands of life, they said and demanded an apology from the two-time sitting MP. When reporters sought his reaction, a visibly upset Tharoor, said he was busy with campaign work and did not wish to comment.